After a month and a half of committee mark-ups, amendments, votes, and finally a conference, both houses of Congress have passed an identical Tax Cuts and Jobs Act (the “Act”) and President Trump signed the Act into law on December 22, 2017. The Act is the largest tax overhaul since the Tax Reform Act of 1986, and there are numerous and significant changes. The changes generally go into effect for tax years beginning after December 31, 2017, and most changes affecting individuals sunset on December 31, 2025. Lawmakers have promised to extend the provisions before the expiration date. A high-level summary of the changes for the taxation of individuals and businesses is set forth below. The House version of the bill reduced the number of brackets to four, down from seven. However, the Senate version kept seven brackets and reduced the rates. The final bill includes seven brackets for individuals and lowers the rates. There is an additional threshold for heads of household, where the cut-off for the 10% tax bracket is $13,600, the cut-off for the 12% tax bracket is $51,800 and the other amounts are equivalent to unmarried individuals. Married taxpayers filing separately have the same brackets except for a cut-off for the 35% tax bracket of $300,000. Noticeably, there is a significant marriage penalty with regard to the 35% and 37% tax brackets, with the threshold for married filing jointly only marginally greater than the threshold for unmarried taxpayers. The standard deduction for married taxpayers filing jointly is nearly doubled to $24,000. Heads of households receive a standard deduction of $18,000, and all other taxpayers receive a standard deduction of $12,000. With the increase in the standard deduction, all personal exemptions are repealed. In an attempt to partially offset the loss of personal exemptions for parents, the Child Tax Credit amount is increased from $1,000 to $2,000, and the first $1,400 is refundable. The phase out limitations for the Child Tax Credit are increased significantly to $400,000 for married taxpayers filing jointly, and $200,000 for all other taxpayers. The final version of the Act suspends all miscellaneous itemized deductions subject to the 2% floor, such as tax preparation fees and unreimbursed employee expenses until 2026. The home mortgage interest deduction is capped to interest on new debt of $750,000, down from $1,000,000, and deductions of interest on home equity debt is disallowed. The charitable contribution deduction for cash contributions is changed as well, increasing the limitation on cash donations from 50% to 60% of adjusted gross income. The 80% deduction allowed for contributions made for university athletic seating rights is repealed. Furthermore, deductions for state and local taxes paid (inclusive of state income, sales, and property taxes) may still be deducted, but only up to $10,000. The deductions for medical expenses, student loan interest, and certain educator expenses are explicitly retained, along with the earned income tax credit and adoption expenses credit. In fact, the medical expense deduction floor is lowered to 7.5% of adjusted gross income, down from 10%, for the tax years of 2018 and 2019. The deduction for alimony paid is permanently repealed for agreements entered into after 2018, and the overall limitation on deductions is suspended until 2026. Lastly, the Affordable Care Act’s individual mandate payment is reduced to zero for months beginning after December 31, 2018. The original proposal called for the repeal of the alternative minimum tax (“AMT”), the estate tax, and the generation-skipping transfer tax, but the final version of the Act does not repeal the AMT or the “death” taxes. Instead, it increases the credit and exemption amounts for these taxes, and increases the the phase-out of the exemption for the individual AMT. The current credit amount for gift tax, estate tax and GST tax is doubled to $10 million (indexed for inflation) per person and the stepped-up income tax basis regime for inherited property is unchanged. The exemption amounts for AMT are increased to $109,400 for married taxpayers filing jointly and $70,300 for single taxpayers. The phase-out of the exemptions are increased to $1,000,000 for married taxpayers filing jointly and $500,000 for single taxpayers. Income from pass-through entities (partnerships and Sub-S corporations) is generally subject to individual rates under the current Tax Code, subjecting many small business owners to much higher rates than the maximum rate for corporate taxes. The final version of the Act provides a deduction to individuals with domestic qualified business income from a partnership, S Corporation, or sole proprietorship equal to 20% of such income. Limitations on the deduction are phased-in for taxpayers with more than $315,000 of taxable income ($157,500 for single taxpayers) and completely phased-in at $415,000. One limitation is that the deduction would be limited to 50% of the allocable W-2 wages paid by the entity, or the sum of 25% of the allocable W-2 wages paid by the entity plus 2.5% of the unadjusted basis, immediately after acquisition, of all qualified property. The second calculation allows businesses with few employees but large capital investments to qualify for the deduction. The other limitation applies to income from pass-throughs which are specified service businesses. This deduction must be taken below-the-line and is available to taxpayers who itemize deductions and those who do not. Trusts and estates are also eligible for the 20% deduction. The corporate tax rate is lowered to a flat 21%, with no special rate for personal service corporations. This rate cut is permanent and is intended to make U.S. corporations more competitive in a global economy where average corporate tax rates are now generally well under 30%. Additionally, the Corporate AMT is permanently repealed. Another major change is to allow businesses (until 2023) to immediately and completely expense the cost of new investments, abandoning the cost-recovery regimes in place under the current Tax Code. The net interest expense for C Corporations is partially limited under the final version of the Act for businesses with average annual receipts of more than $15 million. Furthermore, many special interest business credits are retained. The rules for net operating losses are also amended by the Act, limiting the deduction to 80% of taxable income, allowing for unlimited carryforward, and permitting no carryback except a two-year carryback for farming NOLs. Furthermore, repatriated accumulated foreign earnings under the original Big Six Proposal were to be exempted from tax upon return to the U.S., but under the final version of the Act, such earnings are deemed to be repatriated and are subject to lower tax rates: 15.5% on cash funds and 8% on non-cash assets. There is also a 100% exemption for dividends received from foreign subsidiaries of U.S. parent companies, a point retained from the original proposal. There are many additional changes to the treatment of foreign income and taxation of foreign profits. The changes in the Tax Cuts and Jobs Act do not affect your income tax return for tax years which began prior to December 31, 2017, and for calendar-year taxpayers, including individuals, that means these changes will not be a part of filing your return for the 2017 tax year. However, these changes will generally apply starting January 1, 2018, and will begin to affect taxpayers immediately. 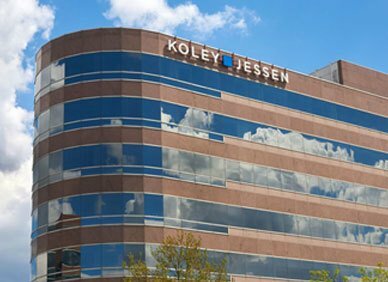 The Tax attorneys at Koley Jessen are working hard to analyze all the changes included in this sweeping tax reform Act. Please contact us with any questions. Under current law, the applicable exclusion amount is $5 million (as indexed annually for inflation) per person. This amount was established by the American Taxpayer Relief Act of 2012. For decedents dying in 2017, the applicable exclusion amount is $5.49 million and was set to increase to $5.6 million for decedents dying in 2018. The annual gift tax exclusion is unchanged.